More than 40 Classic Tales for Sweet Dreams! Racehorse Publishing’s Quintessential Children’s Classics series is a collection of timeless children’s literature. Handsomely packaged and affordable, this new series aims to revitalize these enchanting works, and continue the tradition of sharing them with the next generation of readers. The perfect ending to a perfect day is a story. This book provides unforgettable classics for parents to tuck their children in: Three Little Bears,” Hansel and Gretel,” Jack and the Beanstalk.” You can continue this wonderful tradition with your child with A Treasury of a Bedtime Stories. 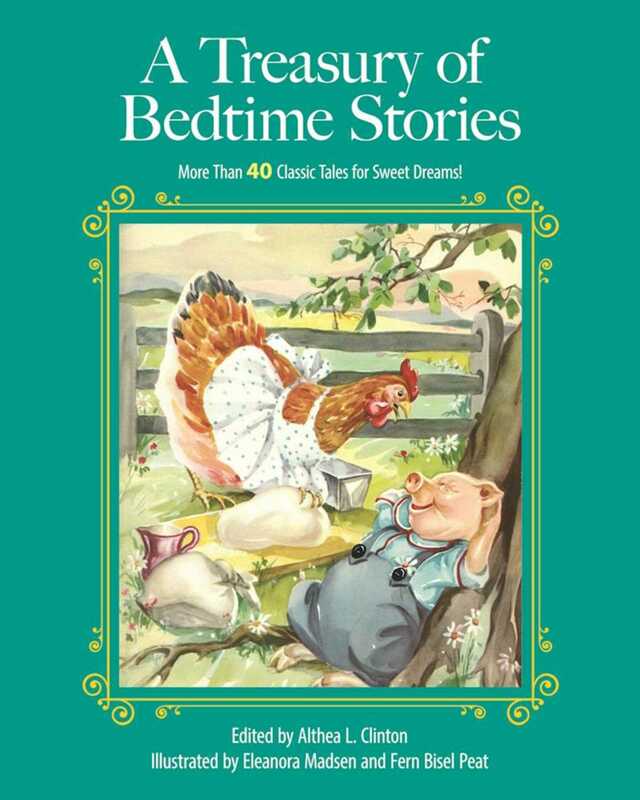 Featuring over thirty of these timeless tales, A Treasury of Bedtime Stories is an essential in any parent’s bedtime repertoire. This edition also include over fifty black-and-white and color illustrations, only adding to the wonder and excitement that awaits within these stories. Good or bad, Night owl or early bird, every kid needs a good story before bedand you can’t do much better than these classics. Also, you get to revisit those stories you loved so much when you were a child. So pick up A Treasury of Bedtime Stories and share these incredible tales togetherjust before dozing off into dreamland.